As saying says, practice makes perfect. Practice helps students to retain the knowledge and skills that they have learned while also allowing you another opportunity to check for understanding. If you want to harness the potent power of practice, you must ensure that your students are practicing the right things. Your students should be practicing what they learnt during your show and tell, which in turn should reflect your lesson goal. Practice is not about mindless busy work. Nor does it involve assigning independent tasks that you haven’t previously modelled and taught. Finally, research shows that students do better when their teacher has them practice the same things over a spaced-out period of time. If you want some specific ways to use both guided and independent practice, check out the Marzano Centre’s book. Feedback is the breakfast of champions, and it is the breakfast served by extraordinary teachers around the world. Put simply, giving feedback involves letting your students know how they have performed on a particular task along with ways that they can improve. Unlike praise, which focuses on the student rather than the task, feedback provides your students with a tangible understanding of what they did well, of where they are at, and of how they can improve. In John Hattie’s view, any teachers who seriously want to boost their children’s results should start by giving them dollops and dollops of feedback. The idea that given enough time, every student can learn is not as revolutionary as it sounds. It underpins the way we teach martial arts, swimming and dancing. 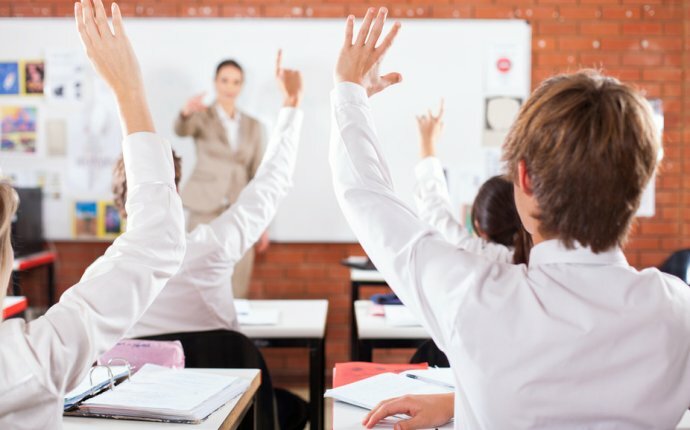 It is also the central premise behind mastery learning, a technique that has the same effect on student results as socio-economic status and other aspects of home life. When you adopt mastery learning, you differentiate in a different way. You keep your learning goals the same, but vary the time you give each child to succeed. Within the constraints of a crowded curriculum, this may be easier said than done; however, we can all do it to some degree. Group work is not new, and you can see it in every classroom. However, productive group work is rare. When working in groups, students tend to rely on the person who seems most willing and able to the task at hand. Psychologists call this phenomenon social loafing. To increase the productivity of your groups, you need to be selective about the tasks you assign to them and the individual role that each group member plays. You should only ask groups to do tasks that all group members can do successfully. You should also ensure each group member personally responsible for one step in the task. Earlier, I highlighted the importance of show and tell. You can increase how well your students do in any subject by explicitly teaching them how to use relevant strategies. When teaching children to read you need to teach them how to attack unknown words, as well as strategies that will deepen their comprehension. When teaching them mathematics, you need to teach them problem-solving strategies. From assignments and studying, to characterisation, there are strategies underpinning the effective execution of many tasks that you ask students to perform in school. And, just as with content, you need to tell students about these strategies, to show them how to use them and to give them guided practice before asking them to use them independently.